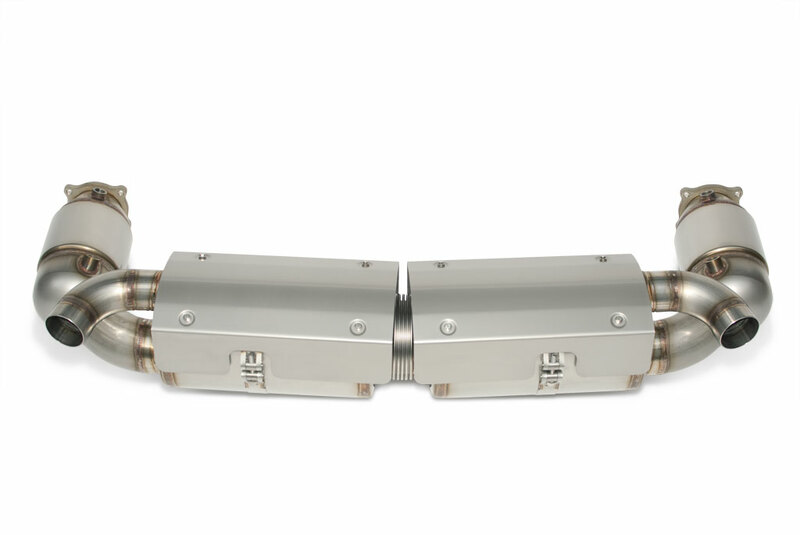 Menacing at cold start, louder and more aggressive up to redline with a fantastic gurgle on overrun. 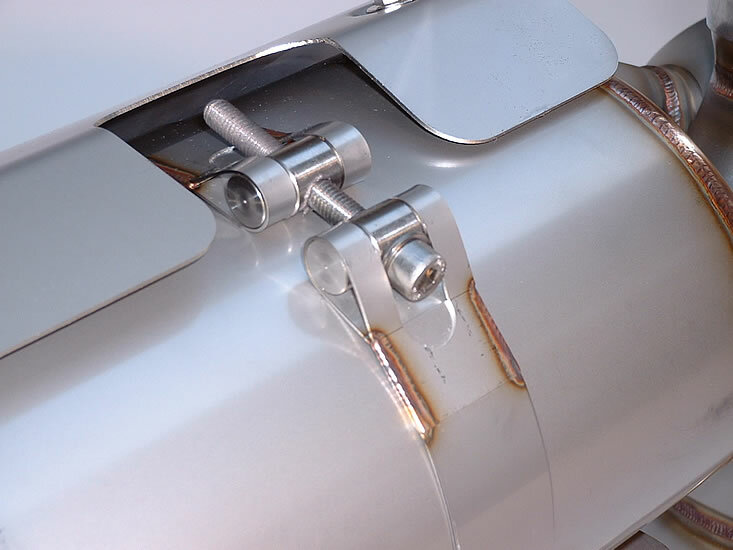 Unlike the stock system there is no drone inside the cabin. 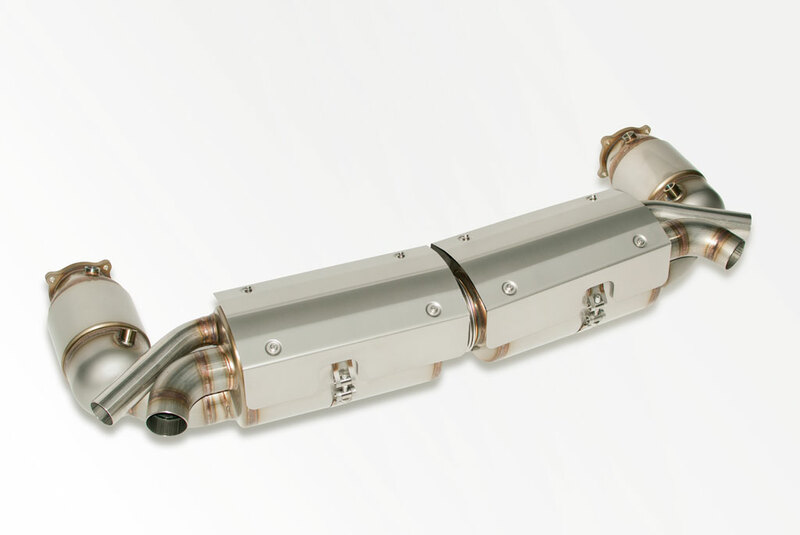 Emissions are great, no CEL no smell and nothing on the ECU has to be altered. 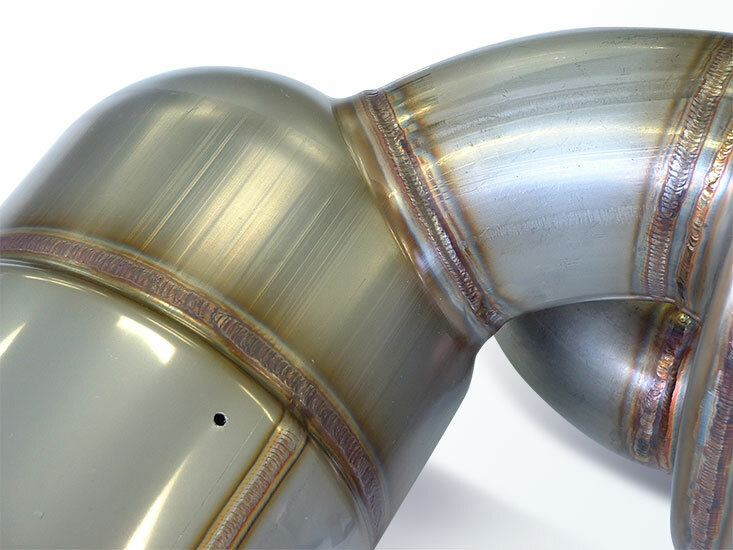 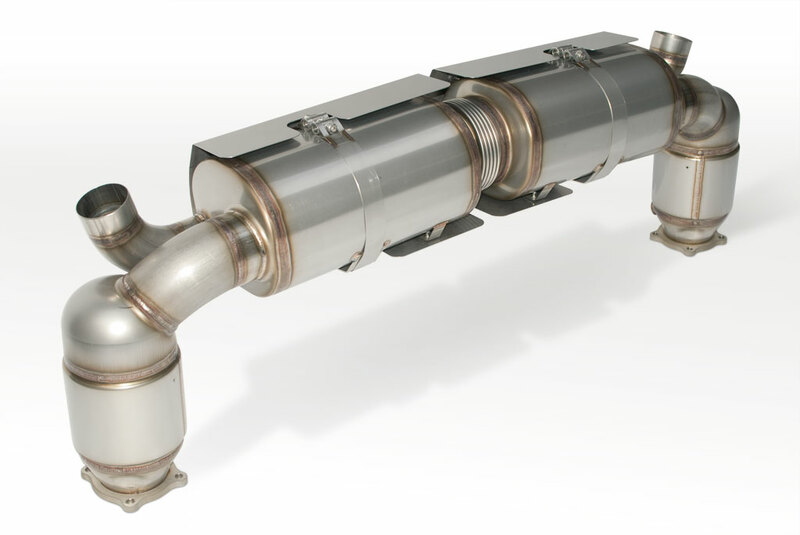 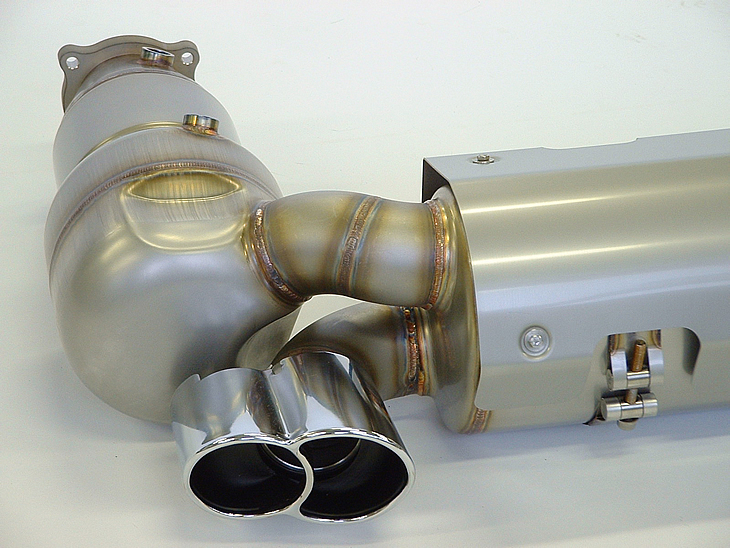 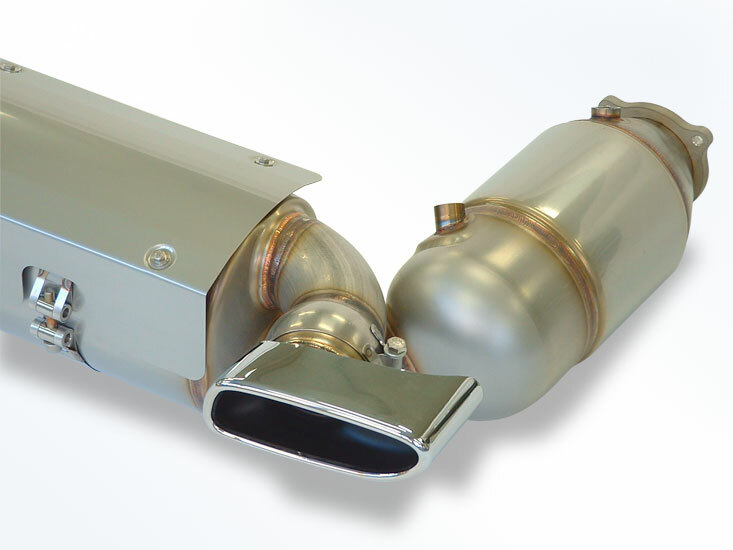 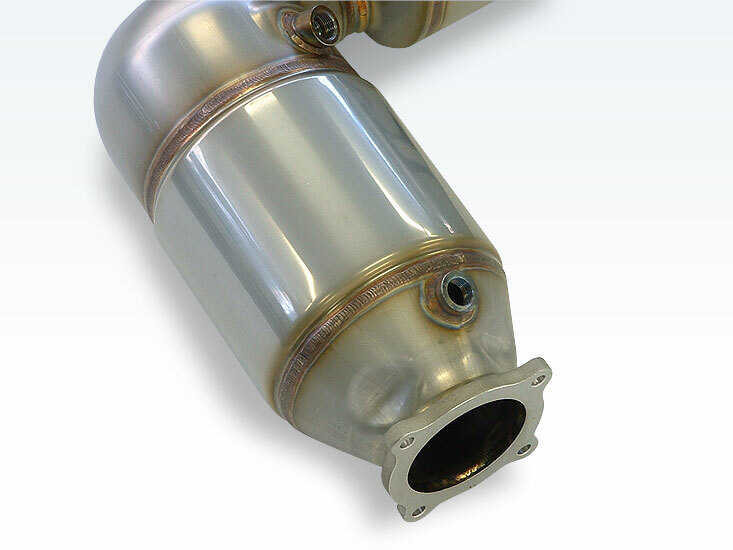 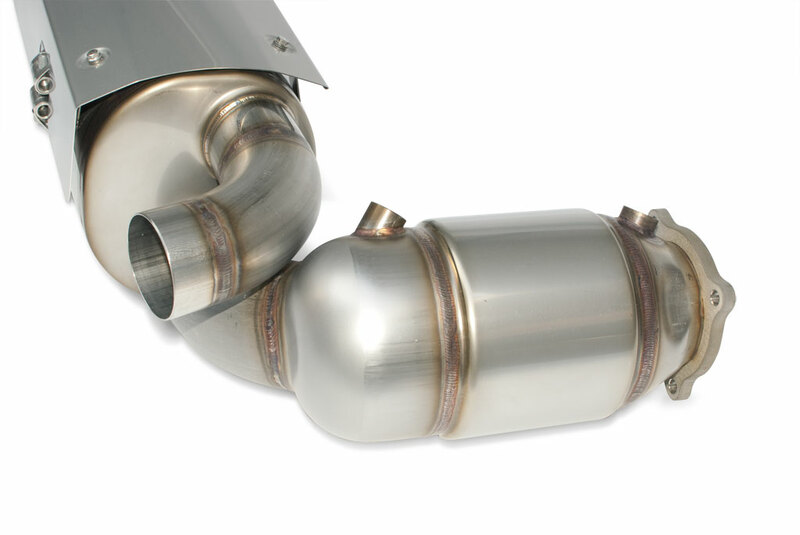 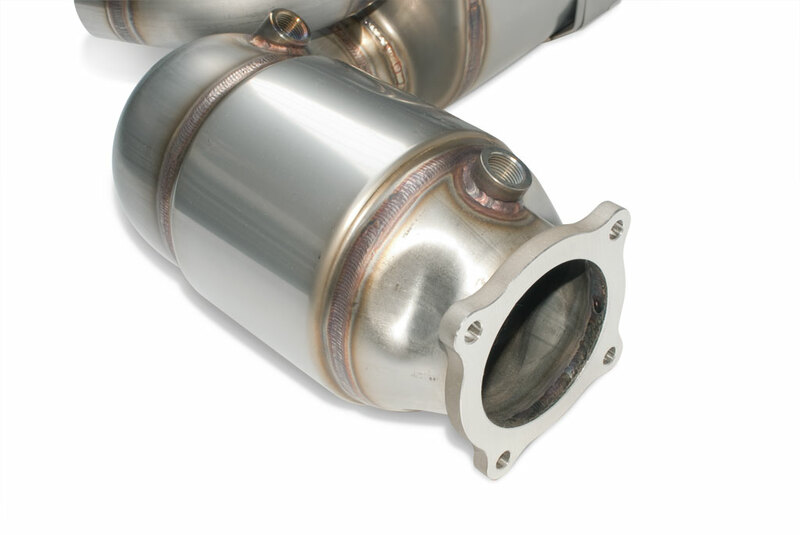 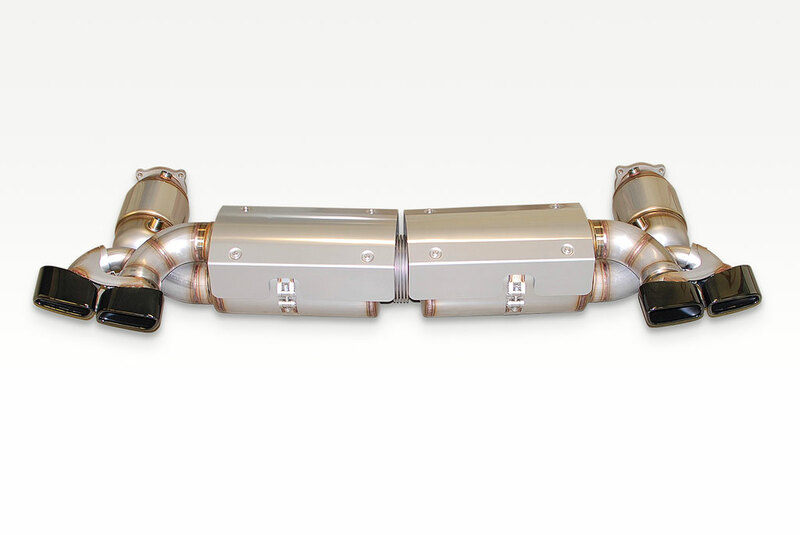 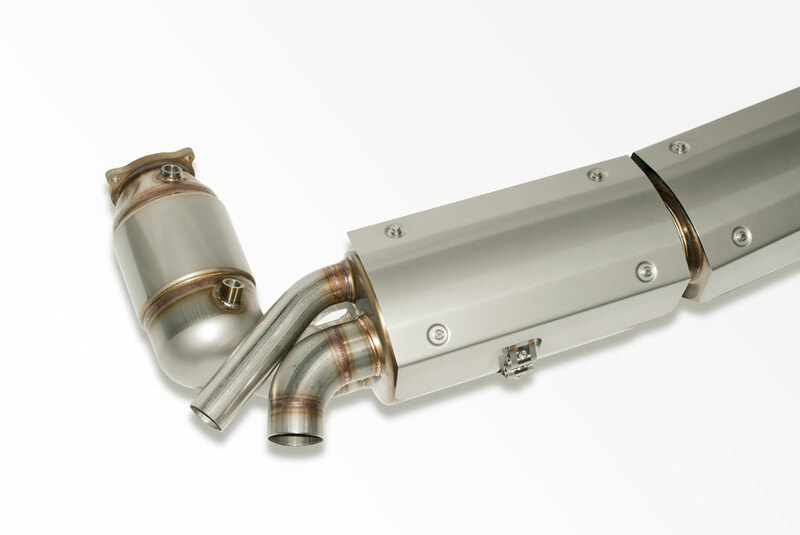 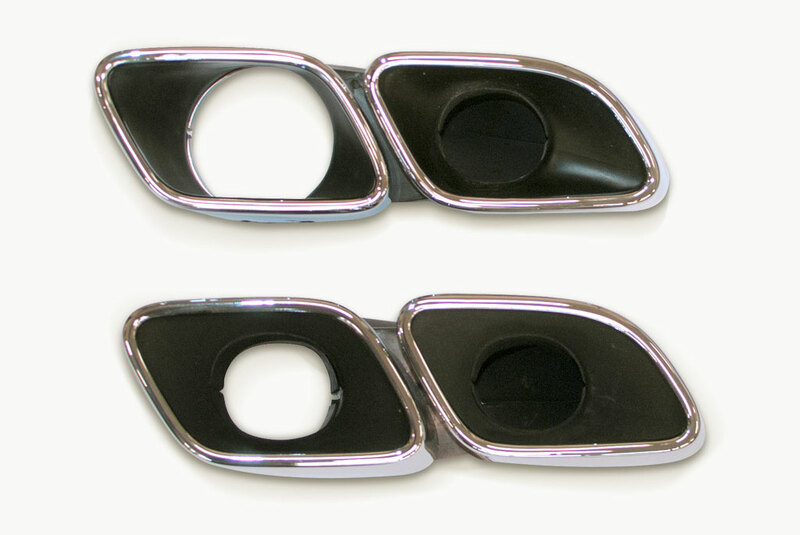 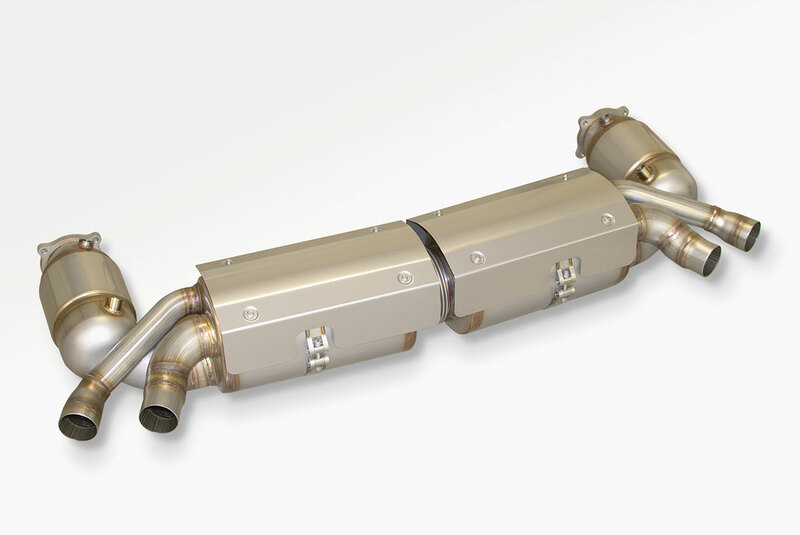 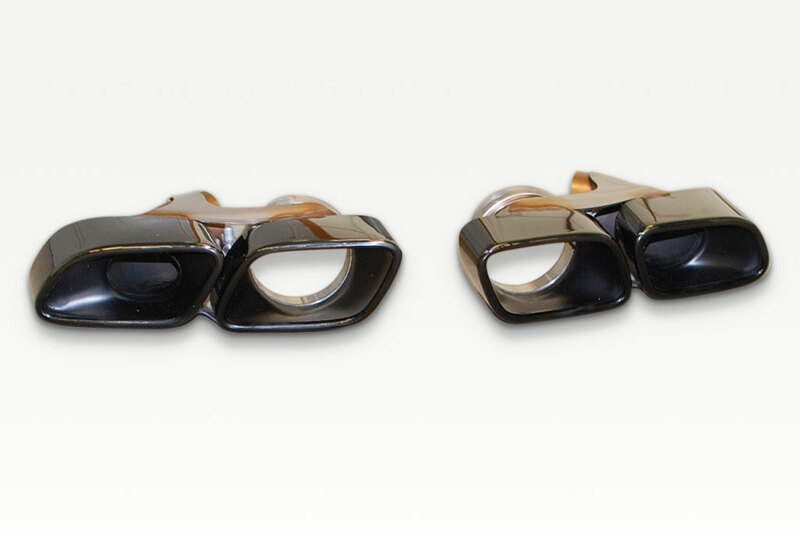 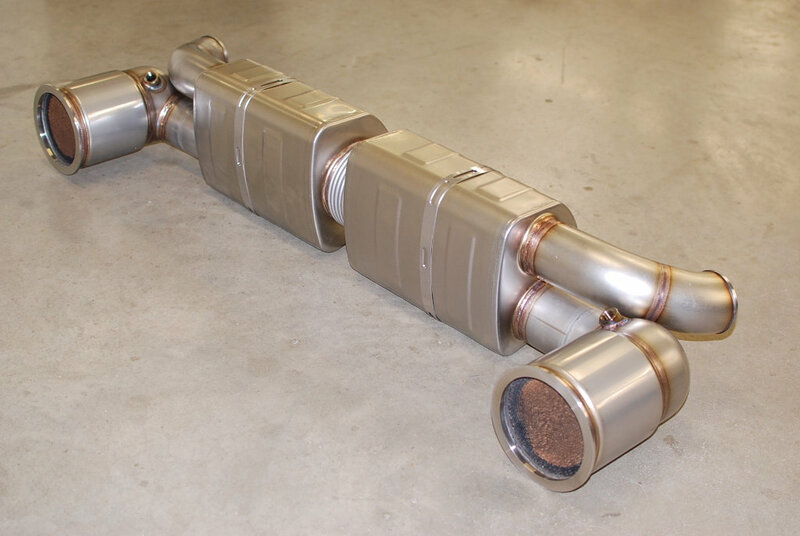 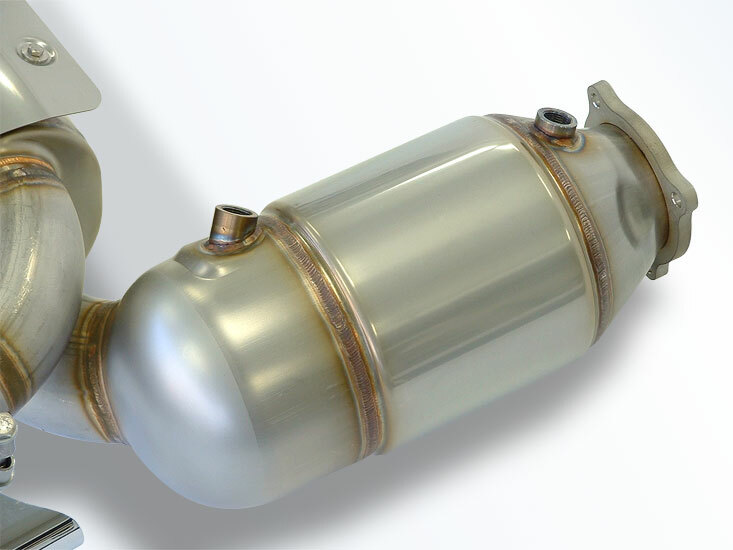 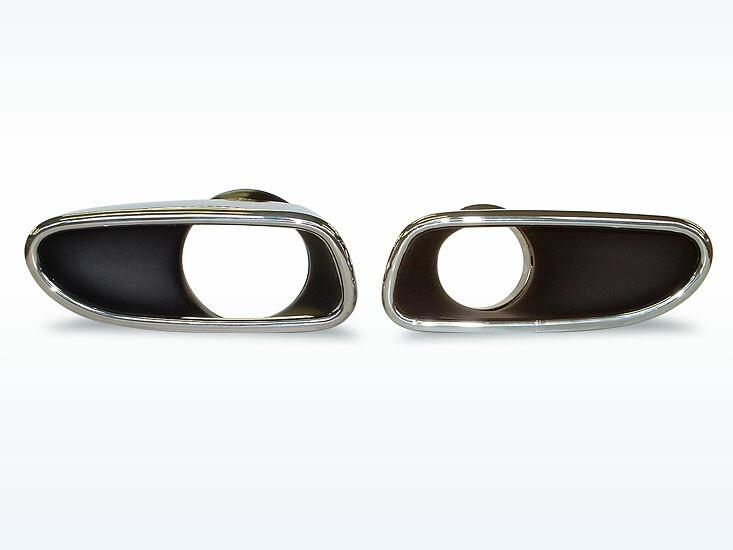 You'll absolutely love the sound of our Europipe exhaust, the over runs, pops, gurgles and turbo whistle are amazing. 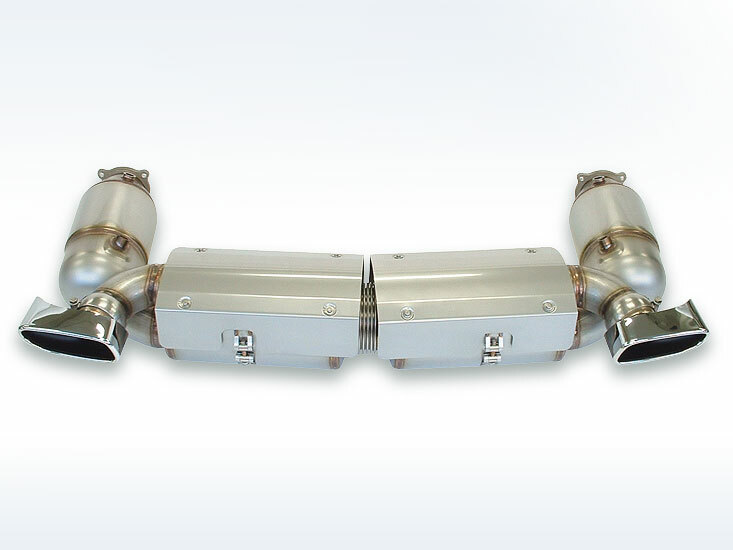 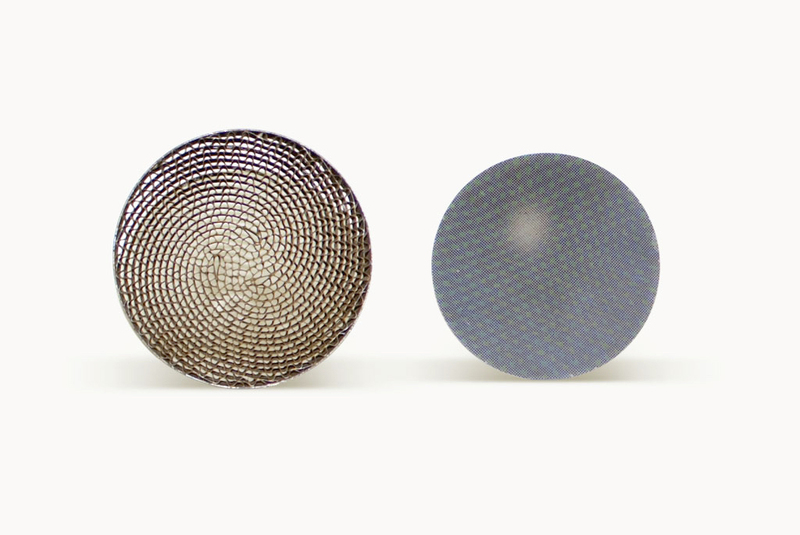 It transforms your car to sound like a proper supercar. 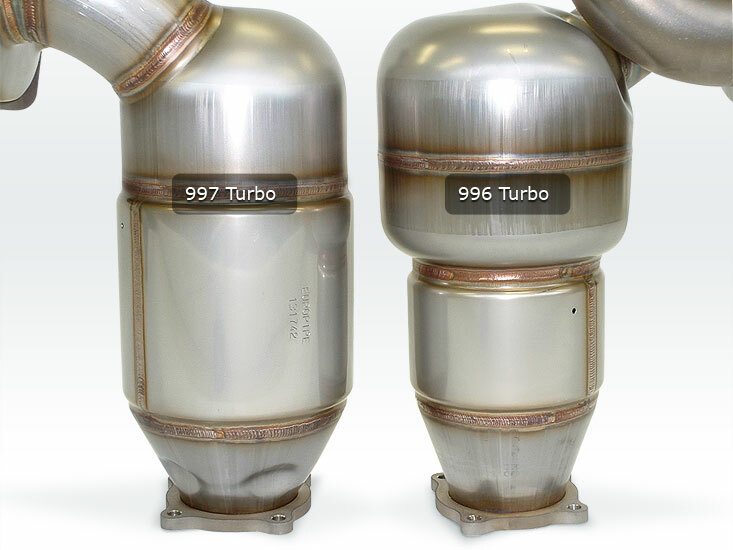 There is zero drone and inside the cabin at highway speeds it's no louder than stock. 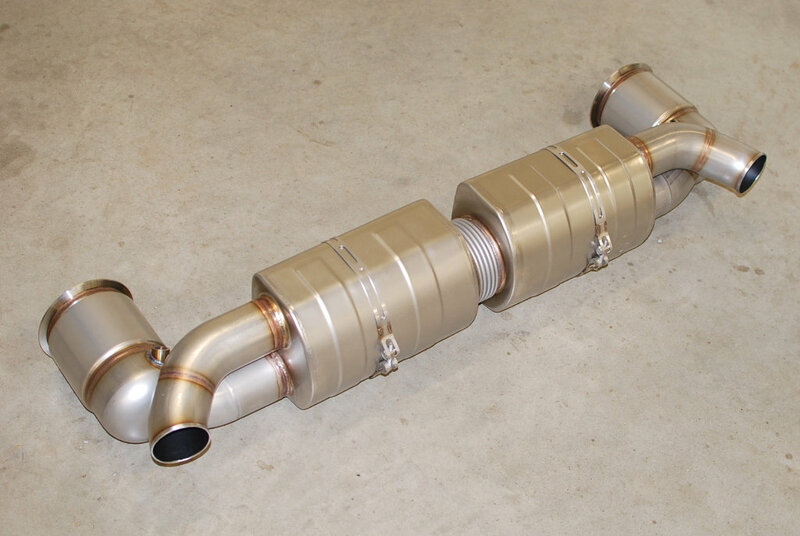 Same as our 991.2 Turbo S sport exhaust but now with 4 pipes that fit the 4 round OEM Exclusive Series tips. 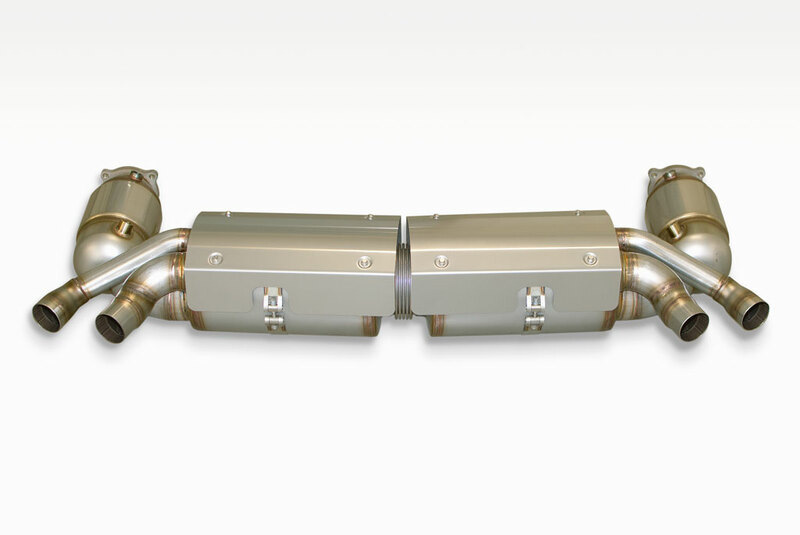 This one is even louder with more growls, barks and whistles. 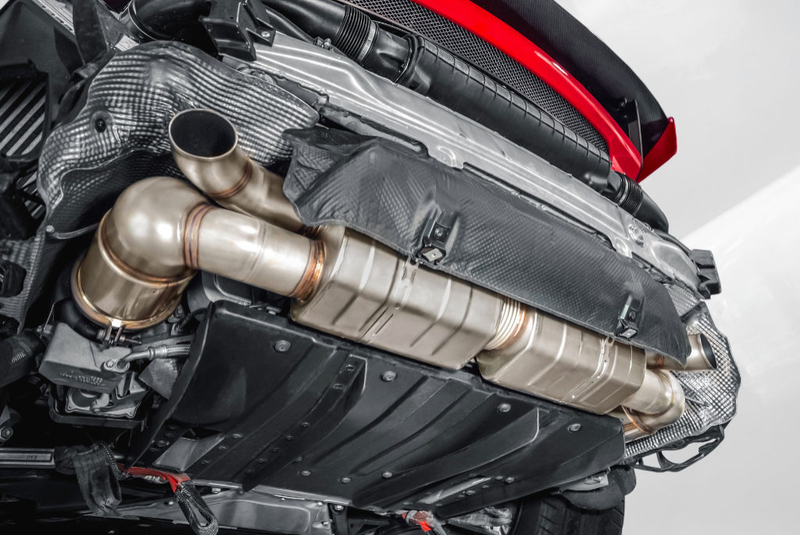 You hear all aspects of the flat six without it just being loud. 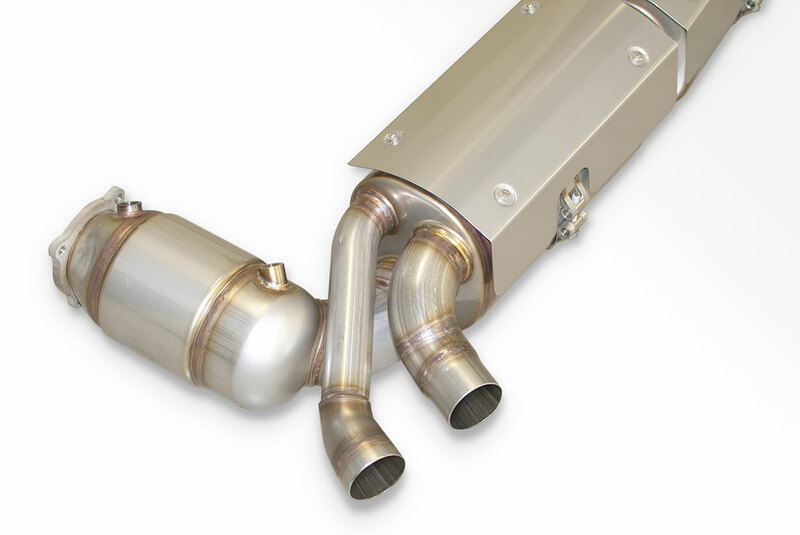 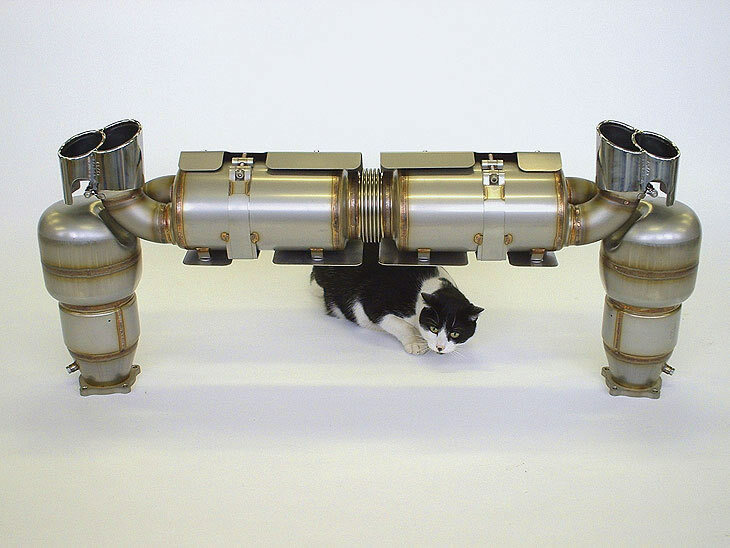 Anything can be loud, but this exhaust appeases the tonal qualities of your ears. 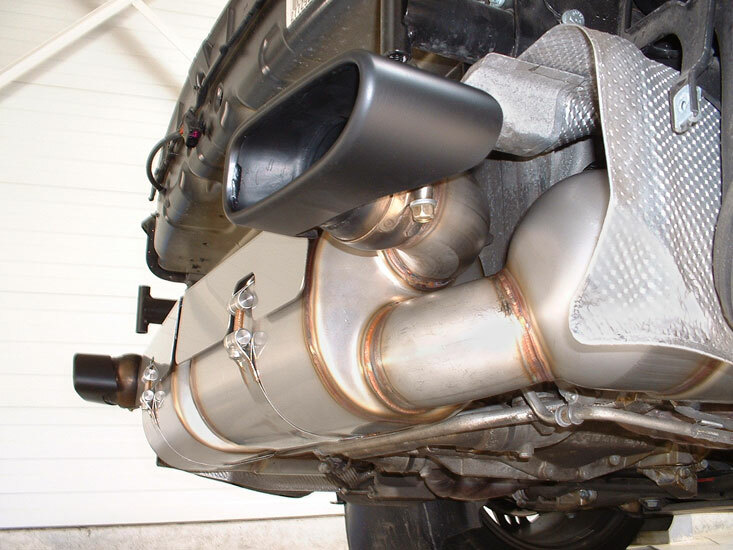 Depending on what gear you're in, you hear different notes and gurgles as you up shift or downshift. 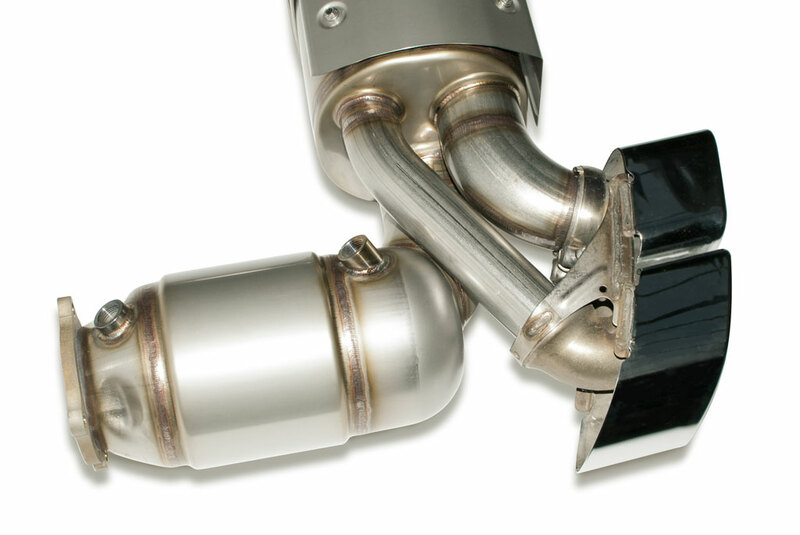 The low range power pick up is very quick and throttle response is more crisp. 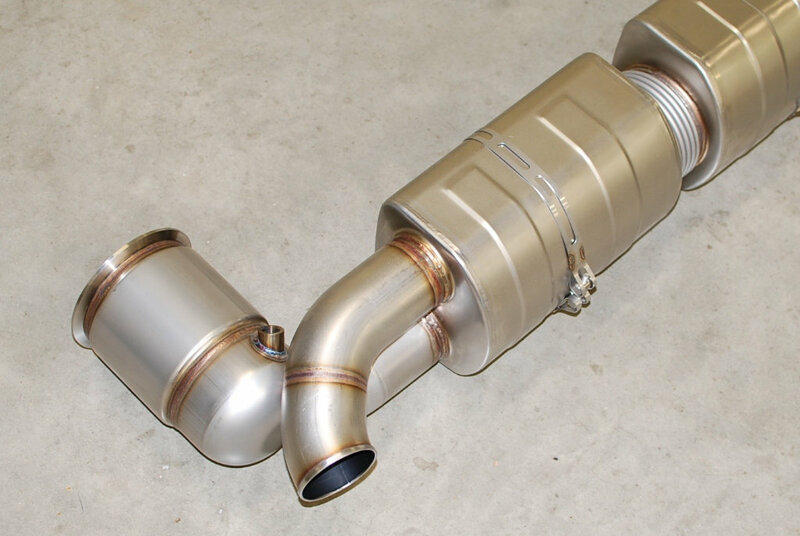 We offer two different sport exhausts for the MY2006 to MY2009 997.1 Turbo. 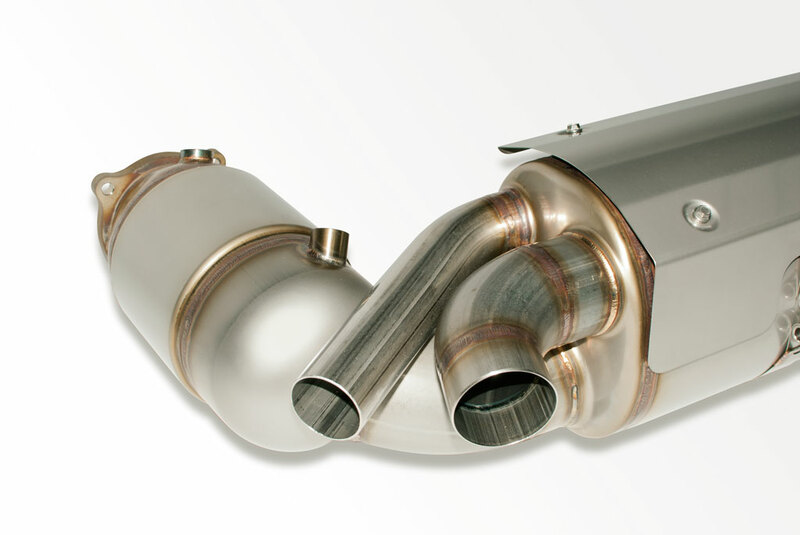 Both are loud exhausts. 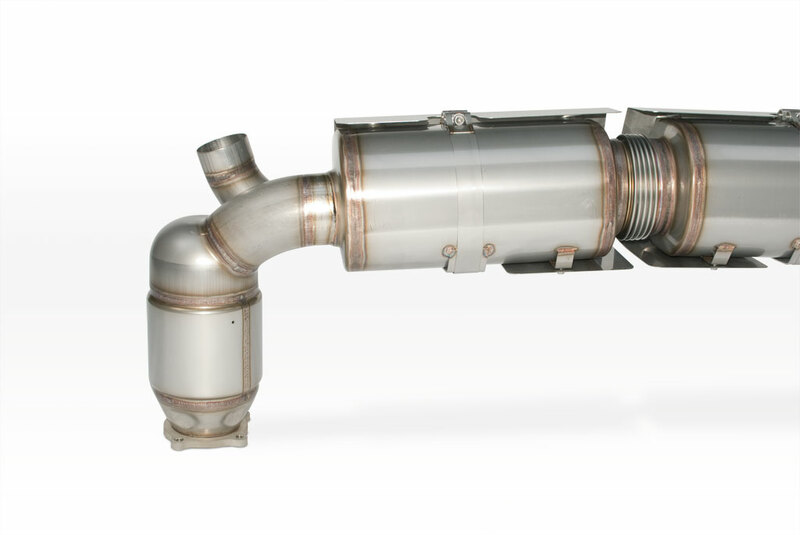 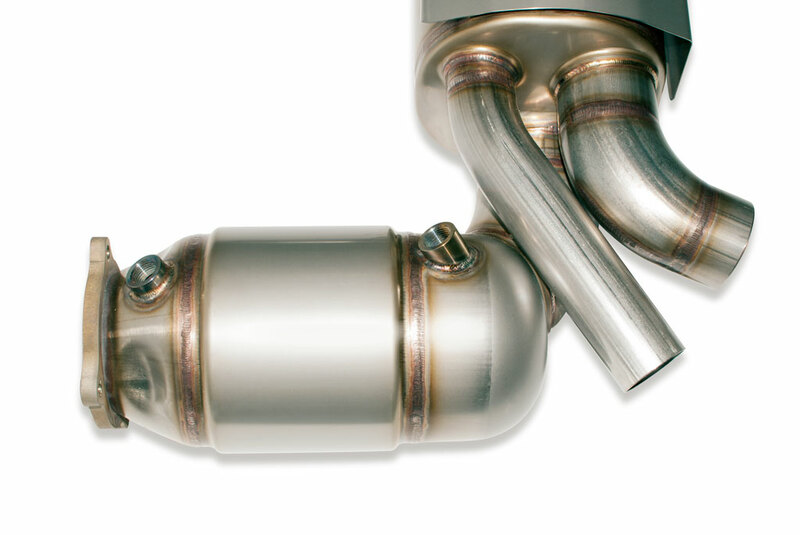 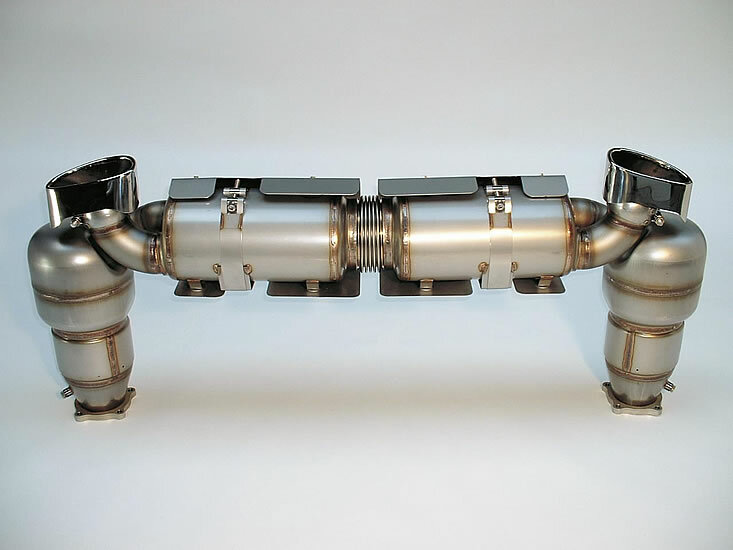 Our 997.1 Turbo sport exhaust comes with less restrictive ø153mm / ø6 inch 100 cell sport cats. 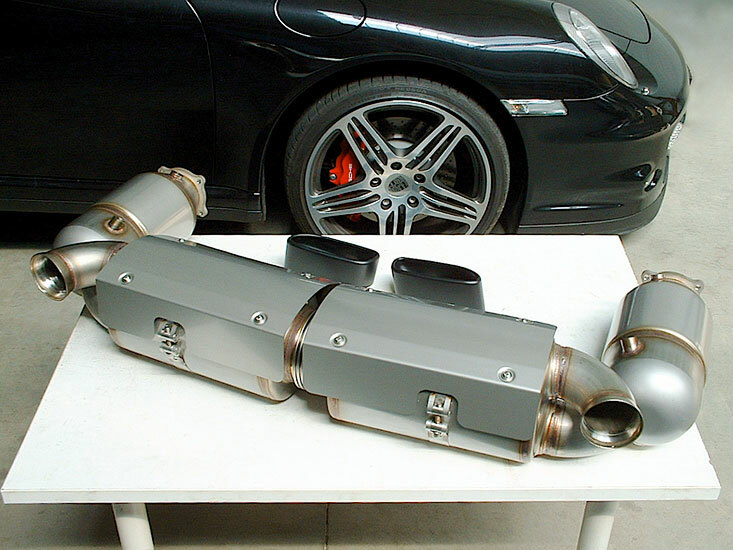 The 997.2 Turbo exhaust is about 7.5cm shorter and 4cm wider than a 997.1 Turbo exhaust. 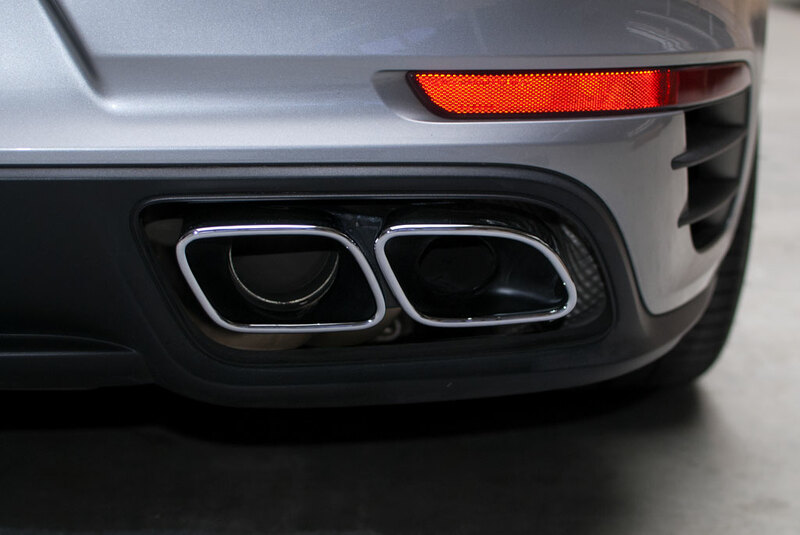 The 997.2 Turbo tips have a 65mm hole while on the older model the tip hole is just 60mm and off-centre. 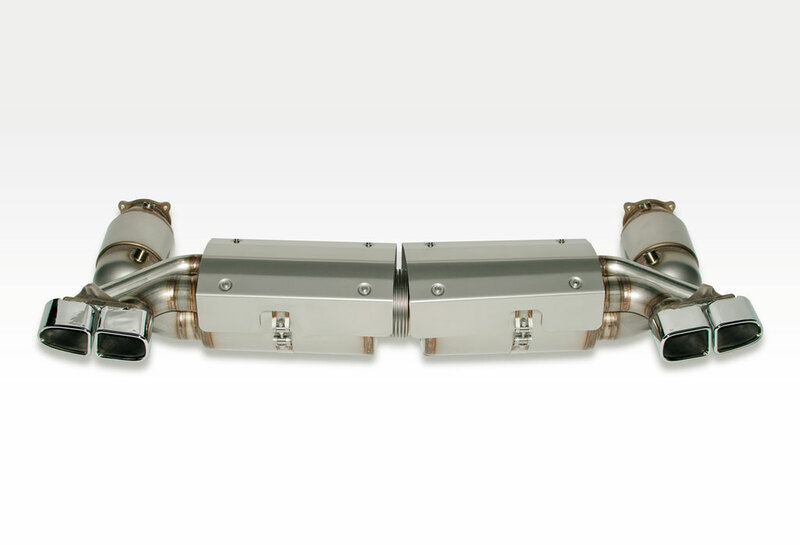 We offer a special conversion exhaust so that you can use the OEM 997.2 Turbo tips on a 997.1 Turbo with a 997.2 Turbo rear bumper.